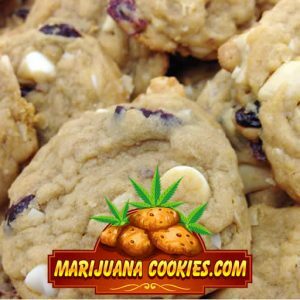 The best marijuana cookie recipes start with quality ingredients and quality cannabis. Cooking with marijuana is a great way to enjoy the effects of your favorite herbs without having to smell like smoke. When you indulge in cannabis cookies, you get to enjoy your marijuana discretely, without letting the whole world know you are partaking. 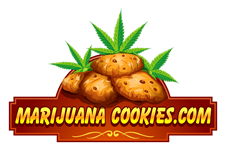 In addition, the sweet taste of the cookies covers up the herby taste of the cannabis, which is especially good for people who don’t like the taste of pot or who get nauseous when they smell smoke. When you eat marijuana instead of smoking it, it takes up to an hour for the high to hit you. Be patient! Don’t give in to the temptation to eat more because you don’t feel it doing anything, and definitely don’t decide to light up because you think the cookies didn’t “work.” Trust us, they will work. You just have to give them a little bit longer. The exact length of time it takes depends on your metabolism and your tolerance for the drug. Wait until you feel the high before you decide that it’s not enough for you and that you need to eat or smoke more. These recipes call for cannabutter, which is simply butter that has had cannabis extracted into it by cooking it at low heat. There are plenty of recipes online that call for dry herb. We strongly prefer to use cannabutter because you don’t end up biting into dried stems or leaves. Also, cannabutter can be used just like regular butter, so you can use it in your favorite cookie recipes. For instructions on how to make cannabutter, see our articles on making your own cannabutter and dosage information for making your own cannabutter. Keep in mind that making cannabutter is quite a fragrant process, so only do it when you and the people you live with can handle your whole house reeking of weed. There are tons of recipes for cannabis cookies and pot brownies online. You could write an entire cookbook just with the recipes you can get online. These are our favorites in three categories: sugar cookies, chocolate chip cookies, and brownies. This recipe is over 100 years old and originally comes from Europe. If you’re looking for a tried and true recipe that tastes amazing every time, this is the one for you. Blend cannabutter and sugar until creamy. Add vanilla, eggs, and salt; blend until fluffy. Gradually add flour, mixing after each addition. Turn out on a floured surface, roll flat, and cut with your choice of cookie cutters. Bake for 12 minutes or until slightly brown on the edges. This recipe yields chocolate chip cookies that are crispy on the edges, chewy in the middle, and guaranteed to get you high! The only danger is that it’s hard to eat just one. Beat softened cannabutter until creamy. Add sugar, eggs, and vanilla; beat again until fluffy. In separate bowl, mix baking soda, salt, and flour. Gradually add flour mixture to butter mixture, beating after each addition. Carefully fold in chocolate chips and walnuts. Drop by tablespoons full on a cookie sheet lined with parchment paper.